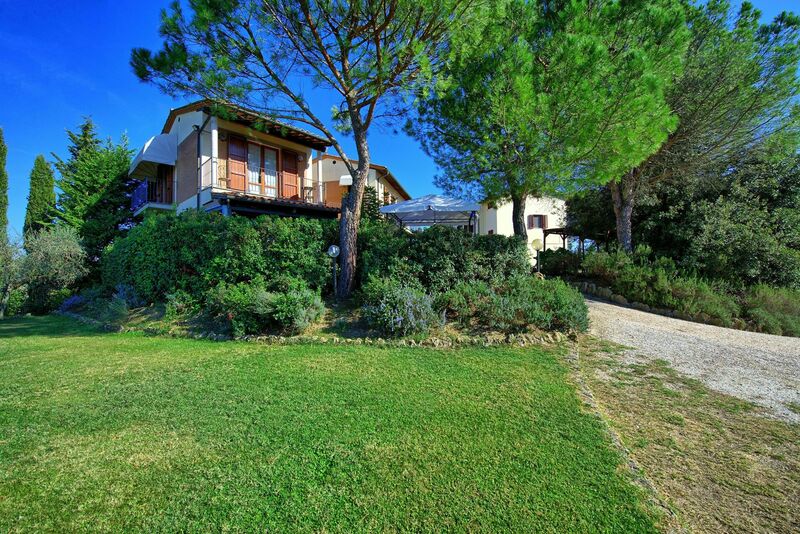 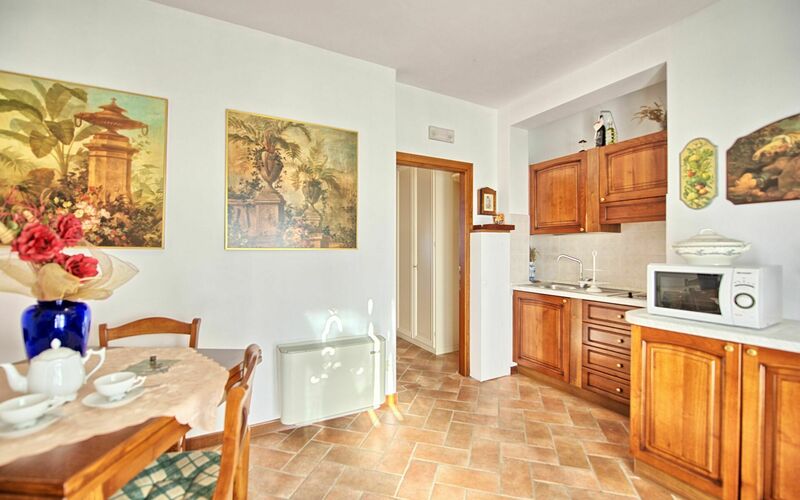 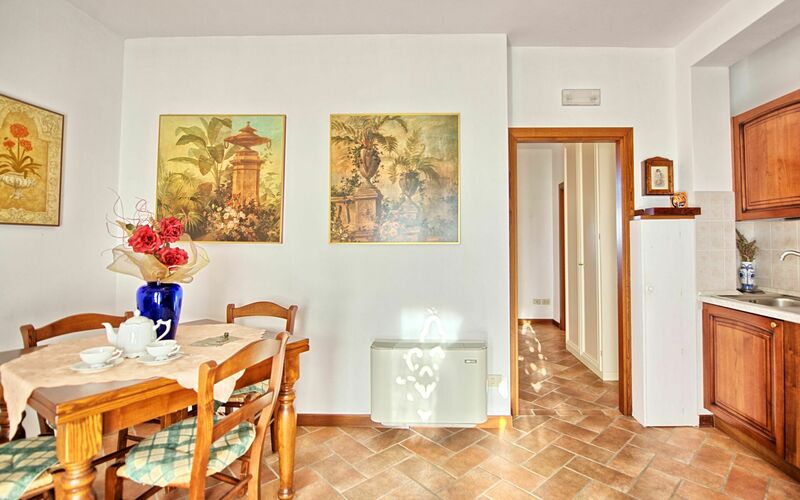 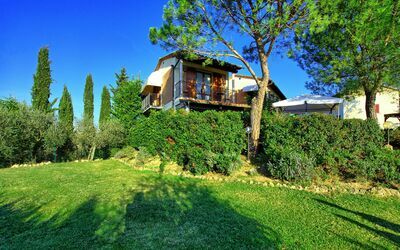 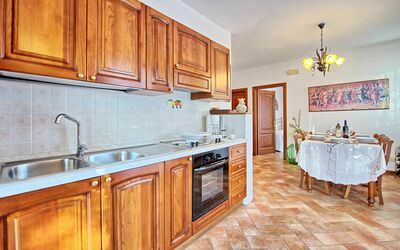 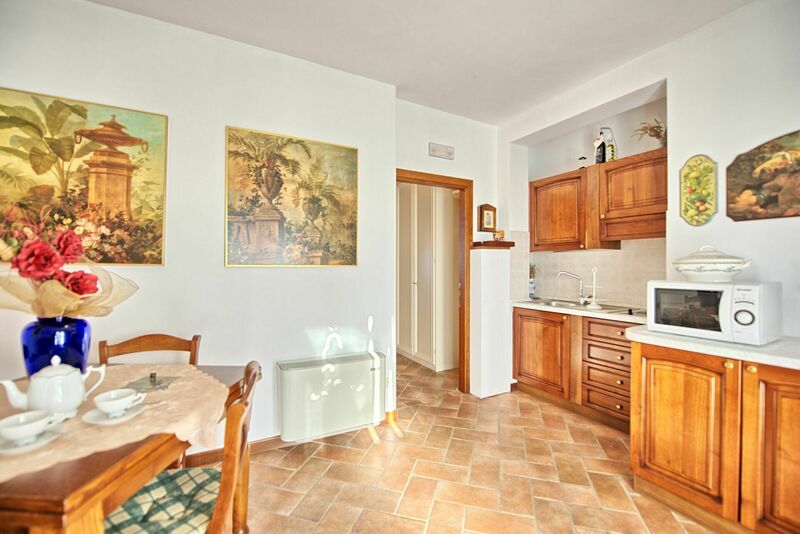 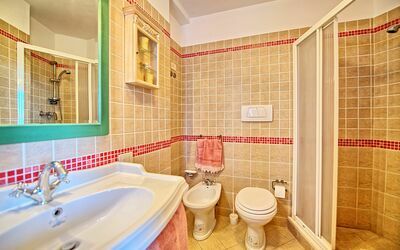 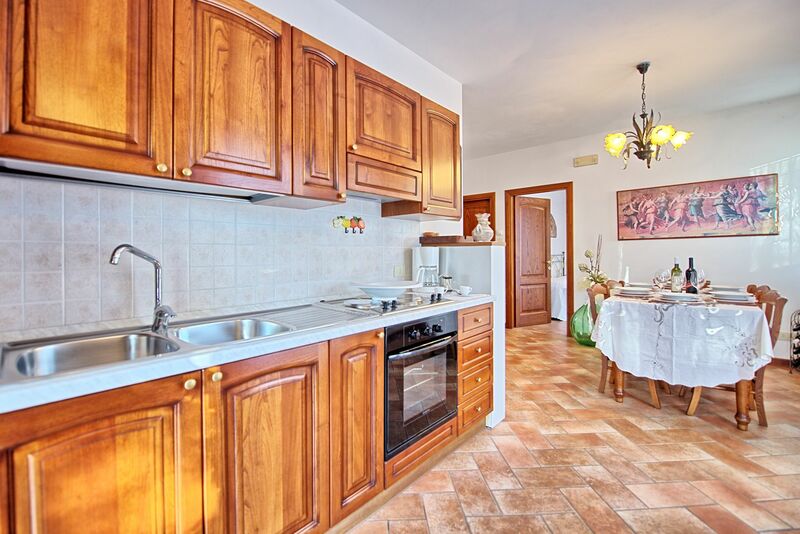 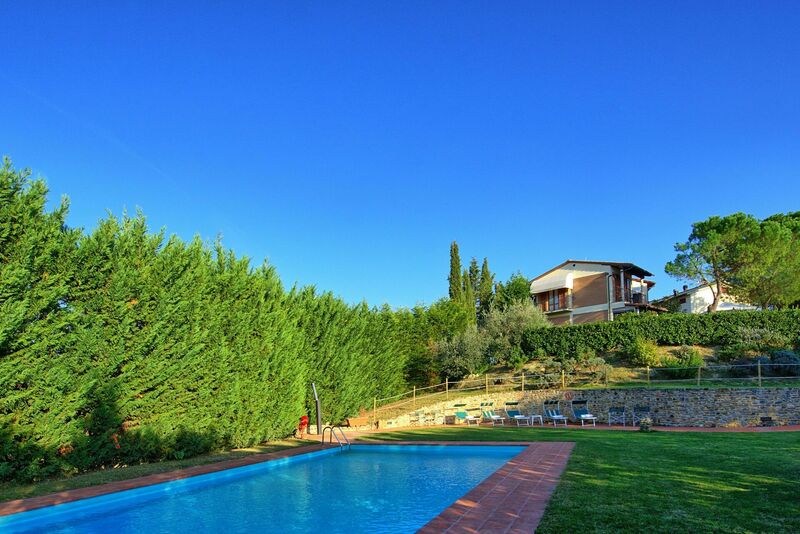 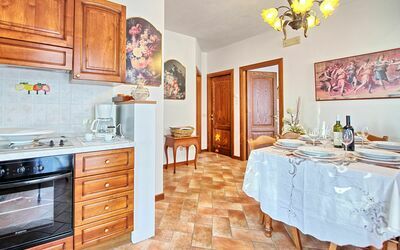 Beautiful property available for rent with a private swimming pool, located just a short distance from the town of Certaldo. 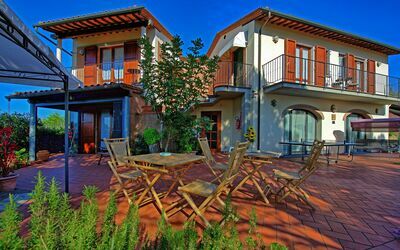 The structure in subdivided into 3 apartments, (there is no internal access between apartments) which come rented to one single party as a single rental villa. 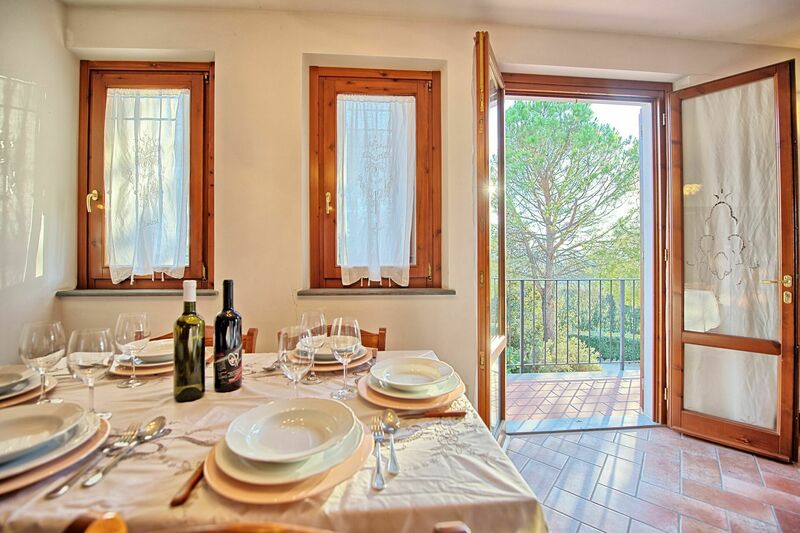 The largest apartment holds a dining room large enough for 8 guests to dine together. 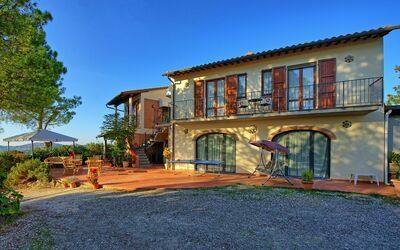 The owners (who are very friendly but not intrusive) manage a family agricultural business from the same location and live a few meters away but do not share any of the outdoor areas with the guests – they do reserve access to a passage which runs below the largest apartment for use only when truly necessary. 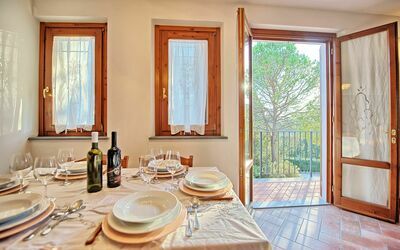 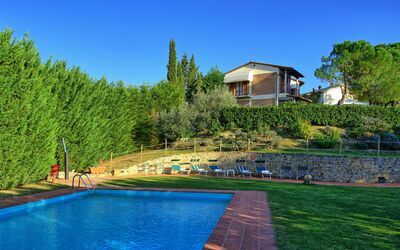 They will be available should guests require help or advice for what to visit and where to go to enjoy the best of Tuscany. 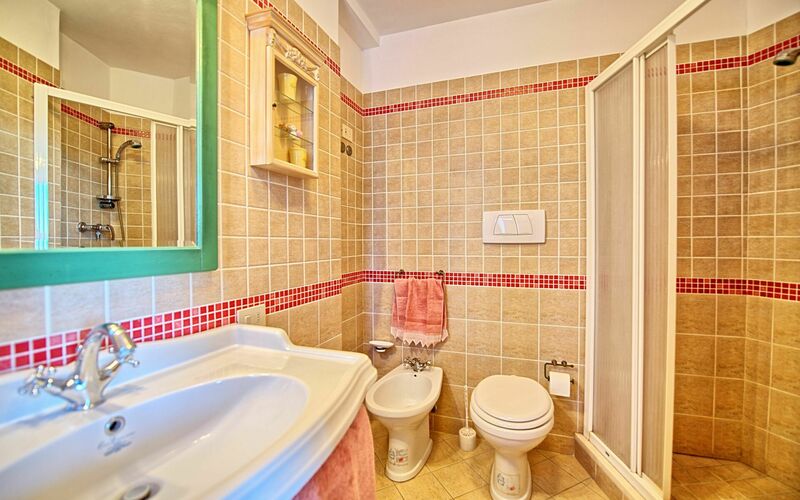 The property available for rent and the property where the owners live are separated by a border of flowers which gives the guests the most privacy possible. 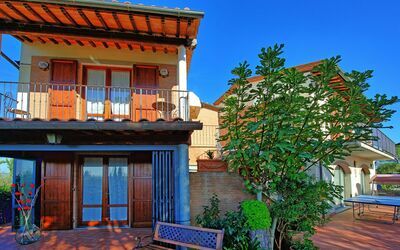 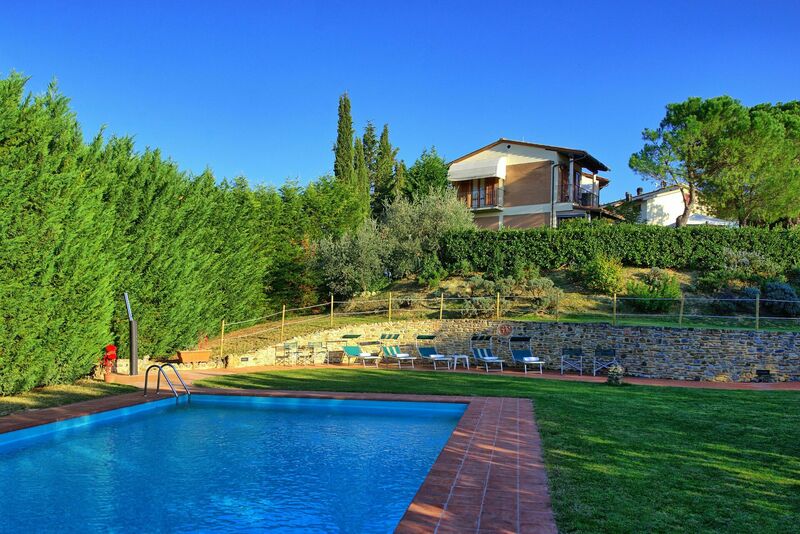 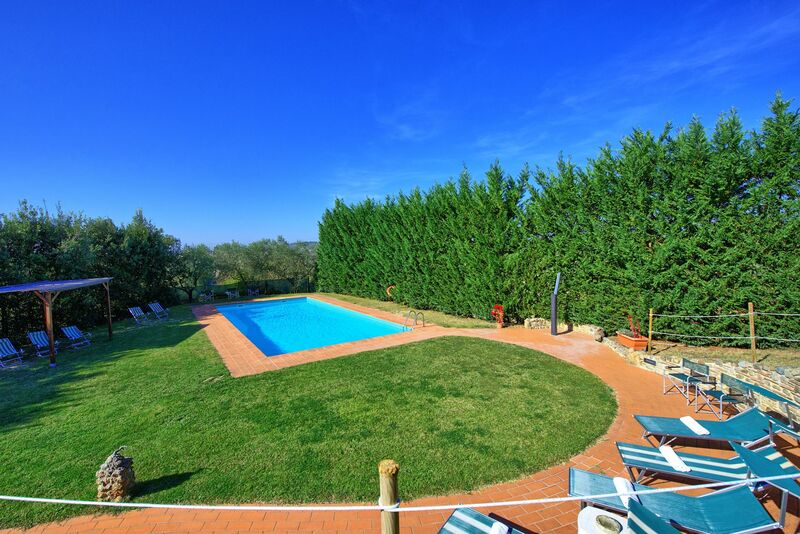 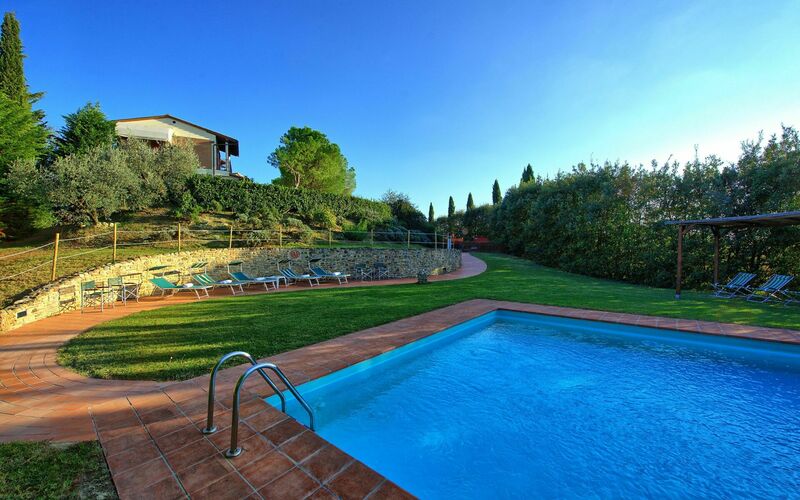 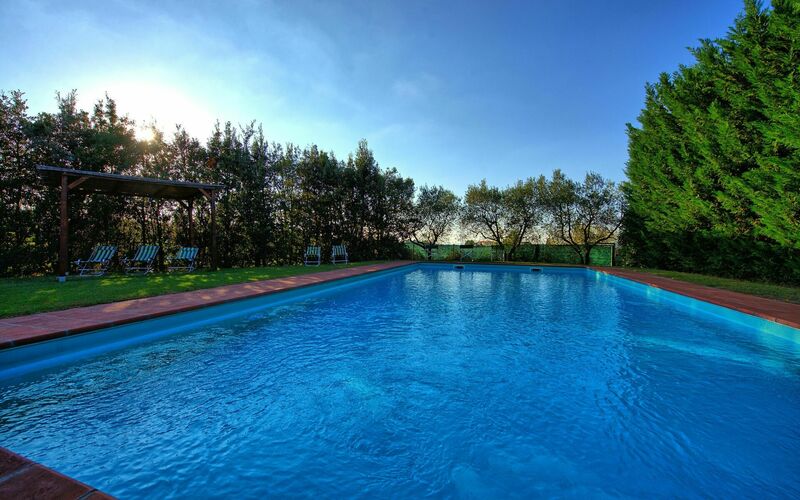 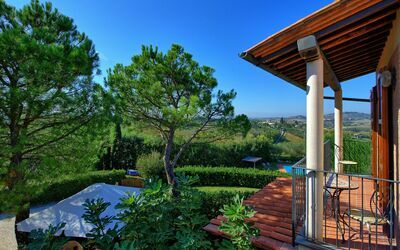 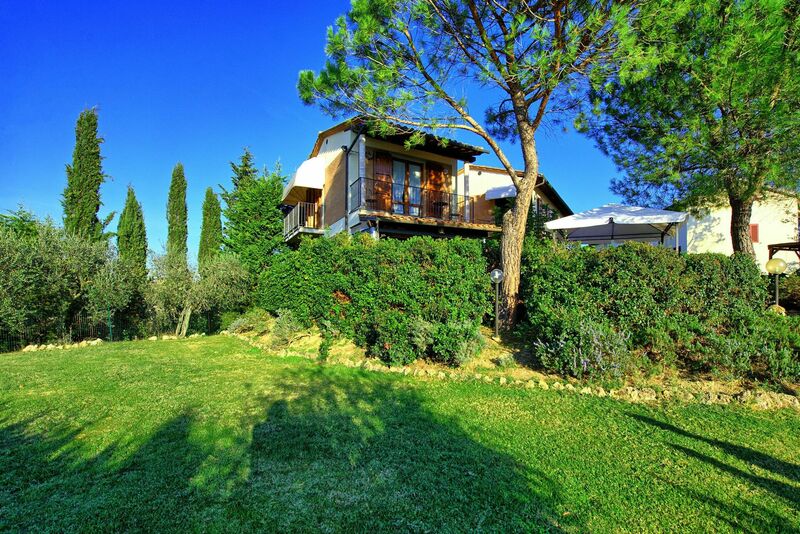 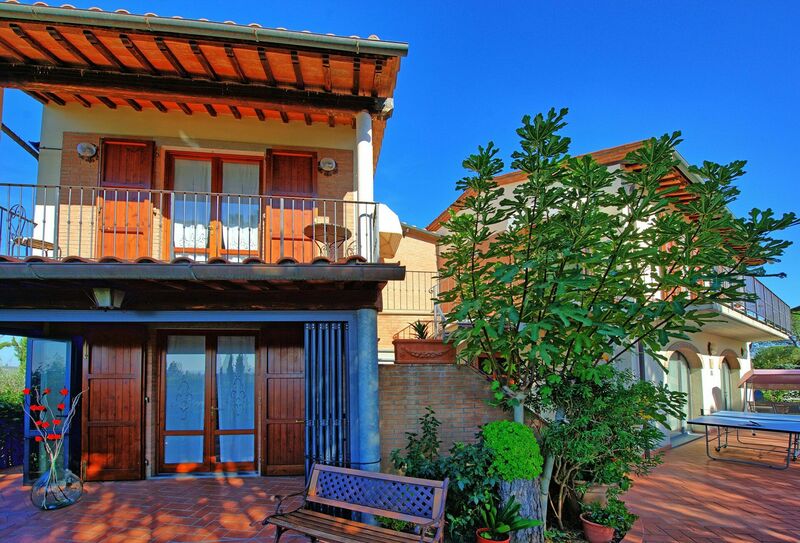 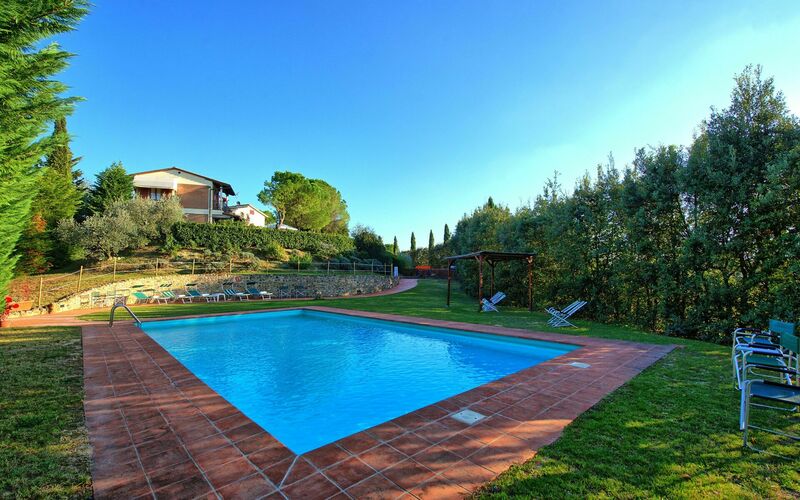 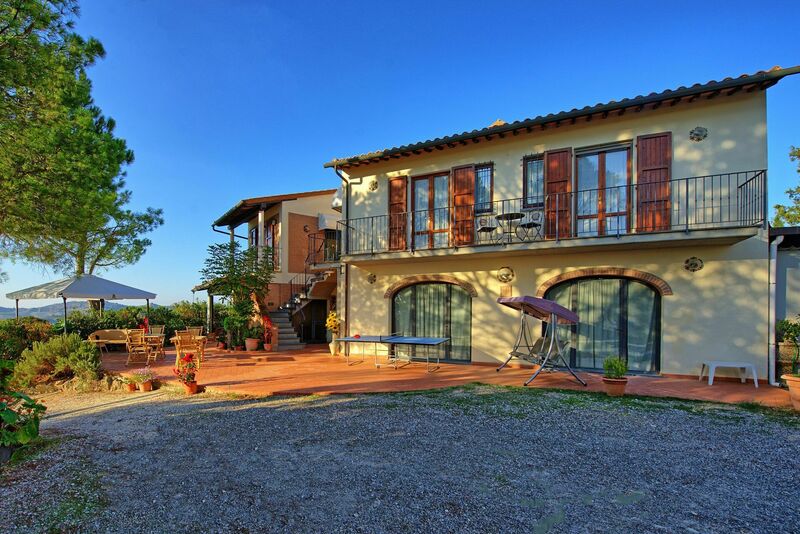 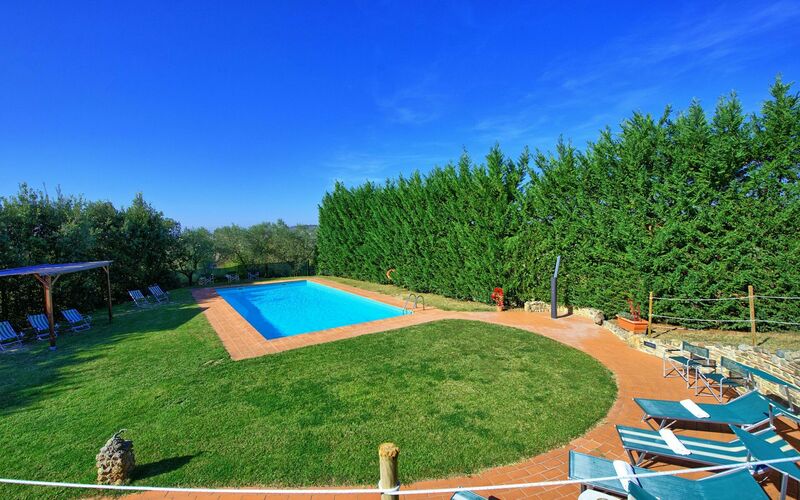 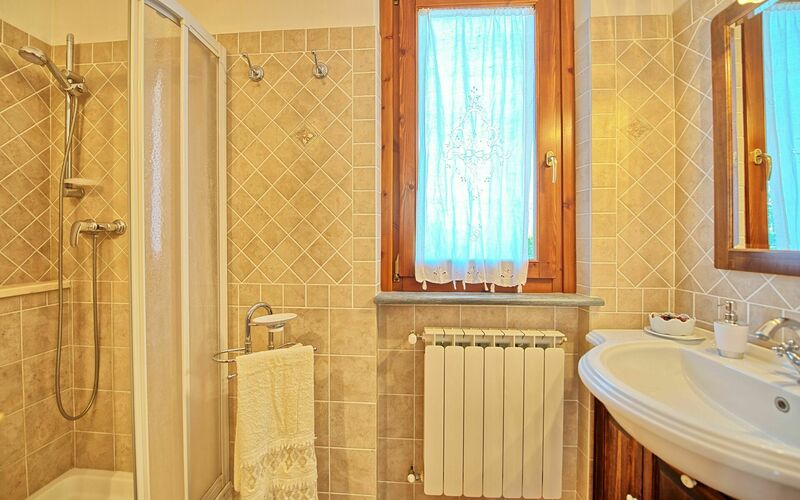 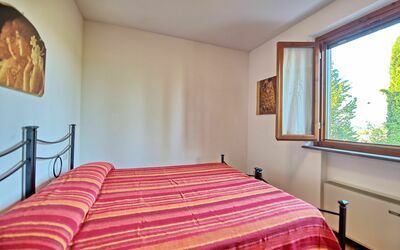 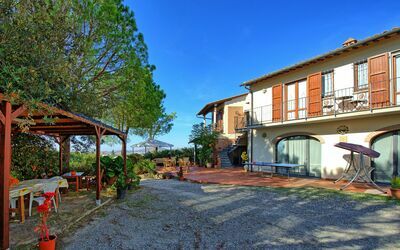 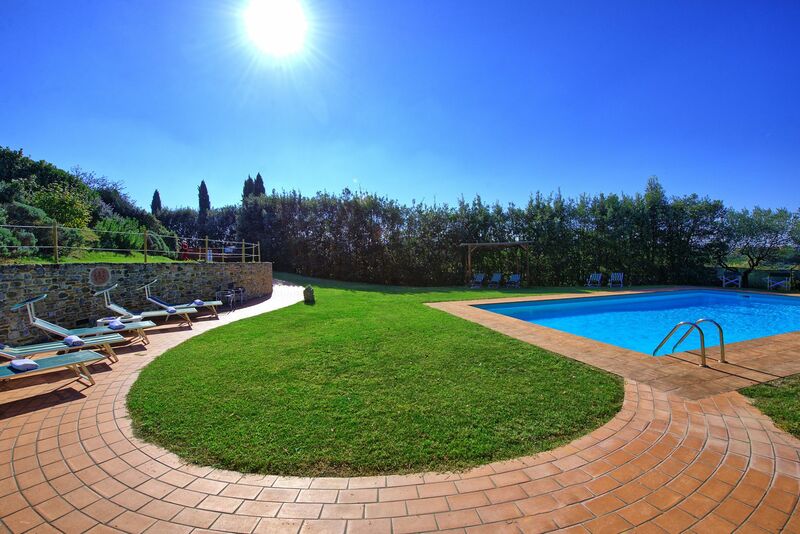 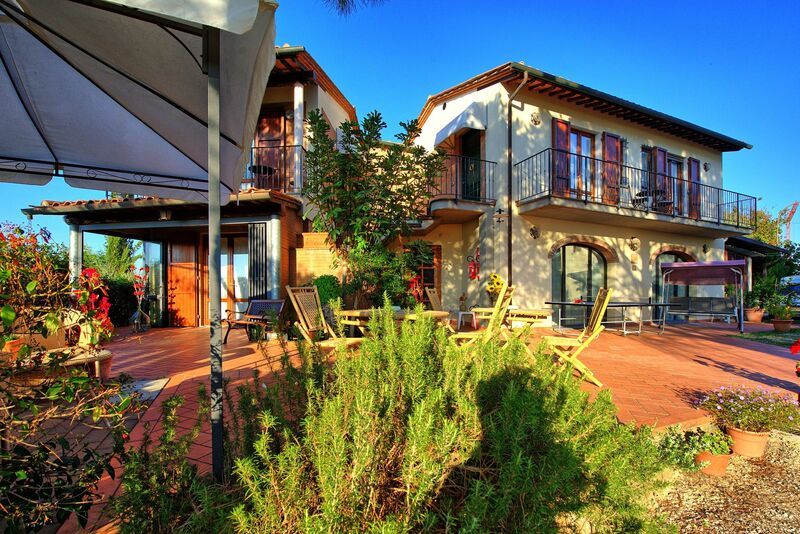 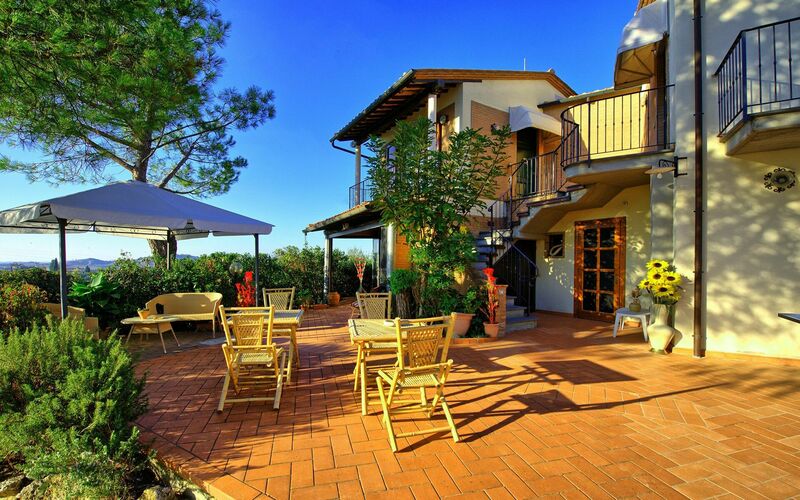 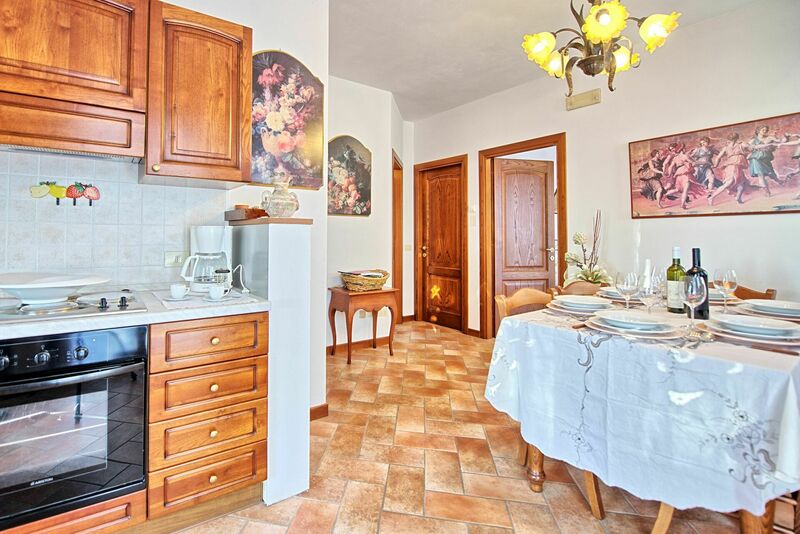 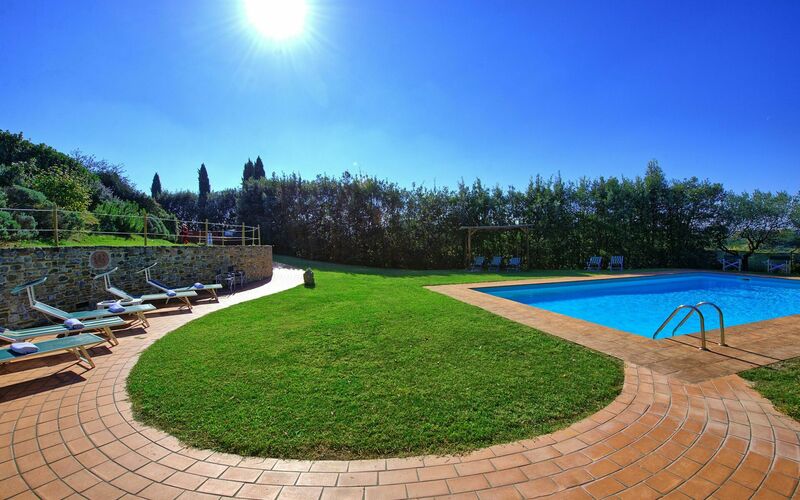 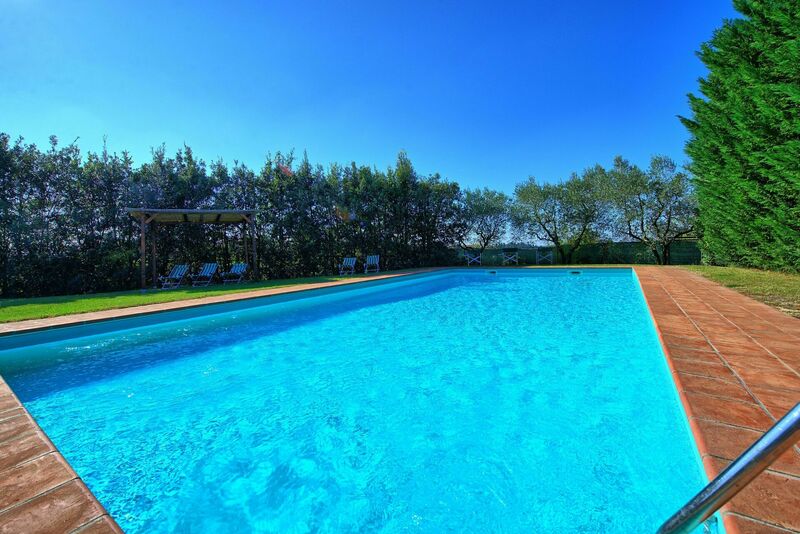 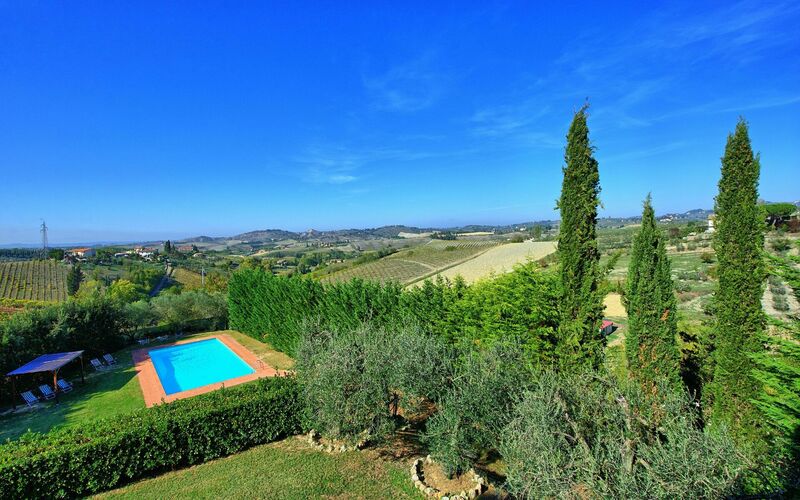 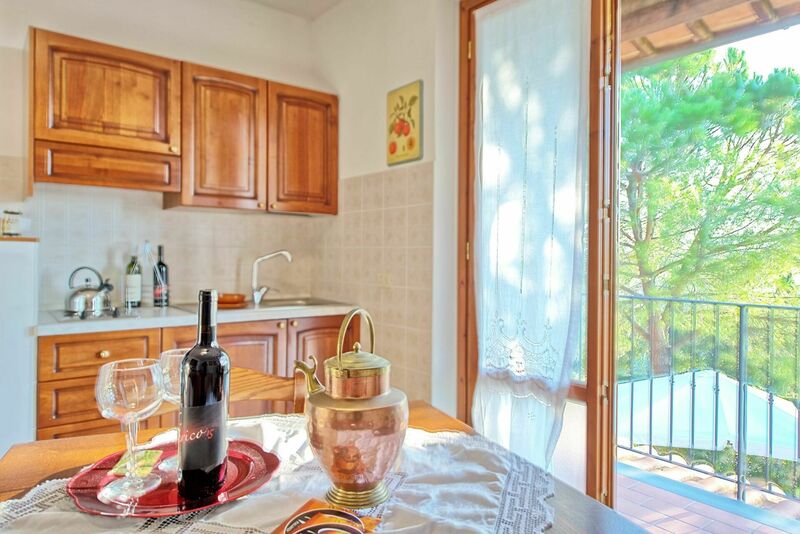 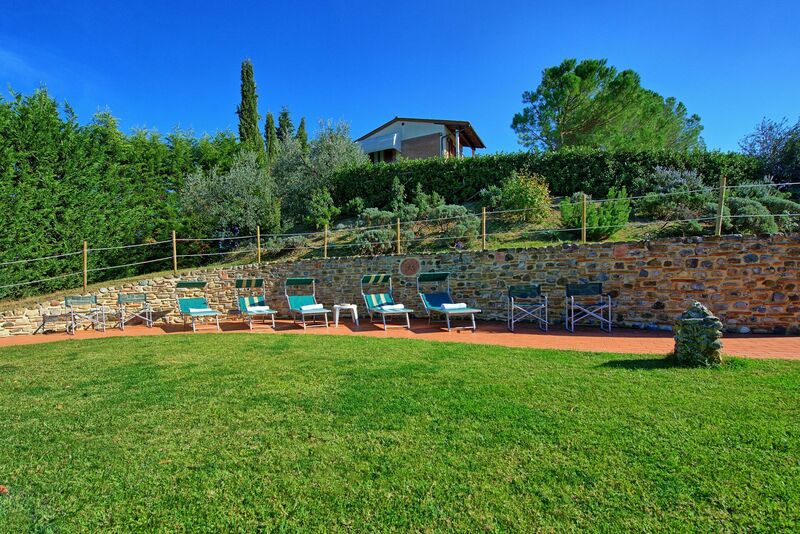 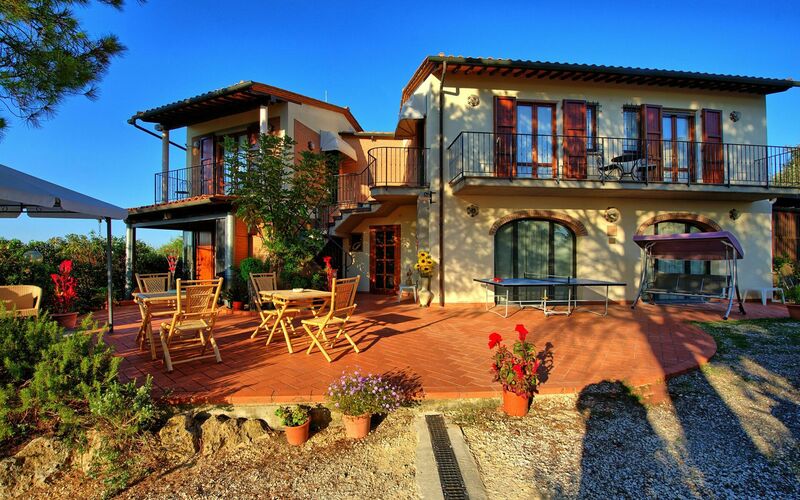 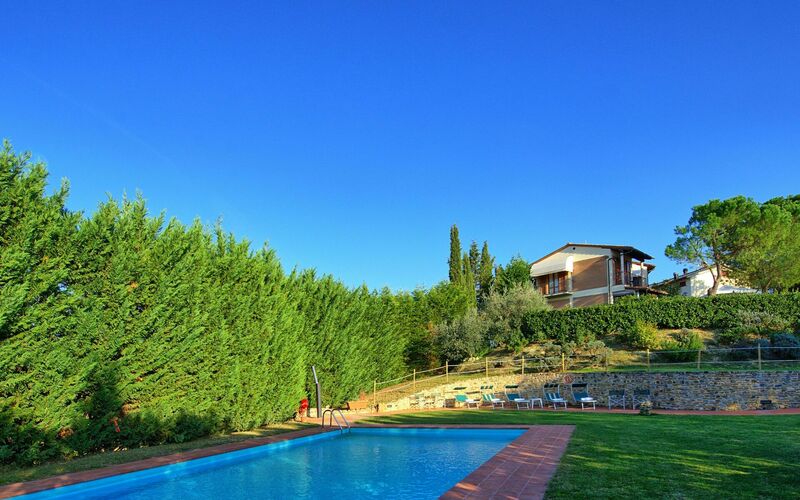 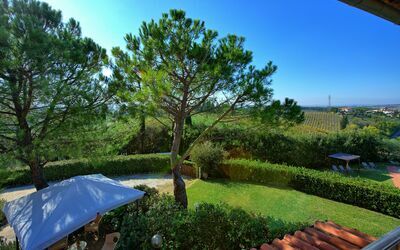 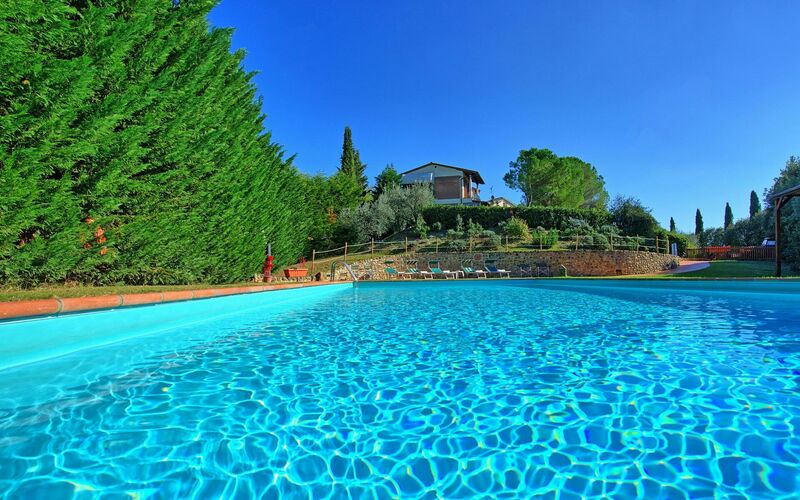 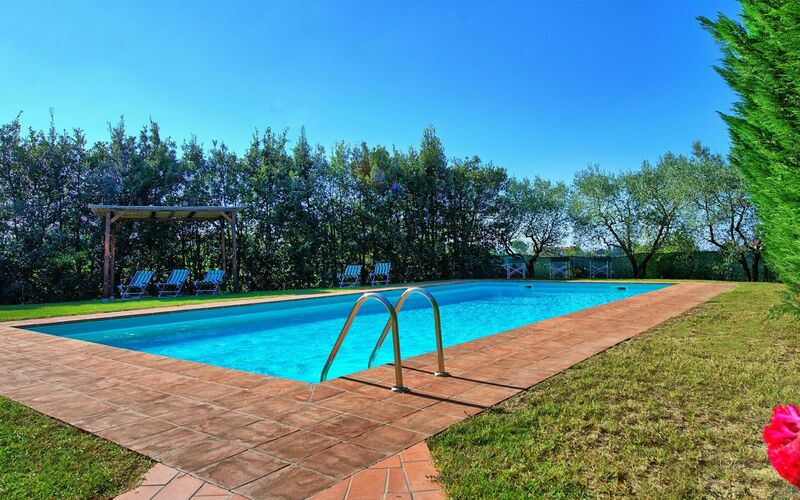 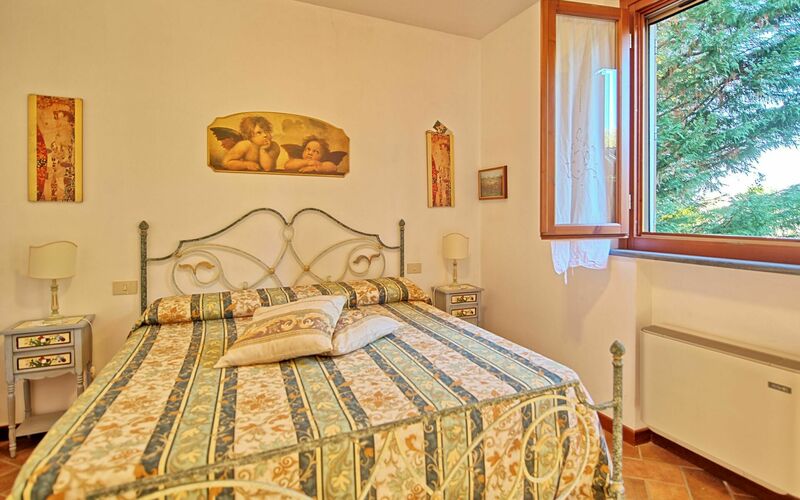 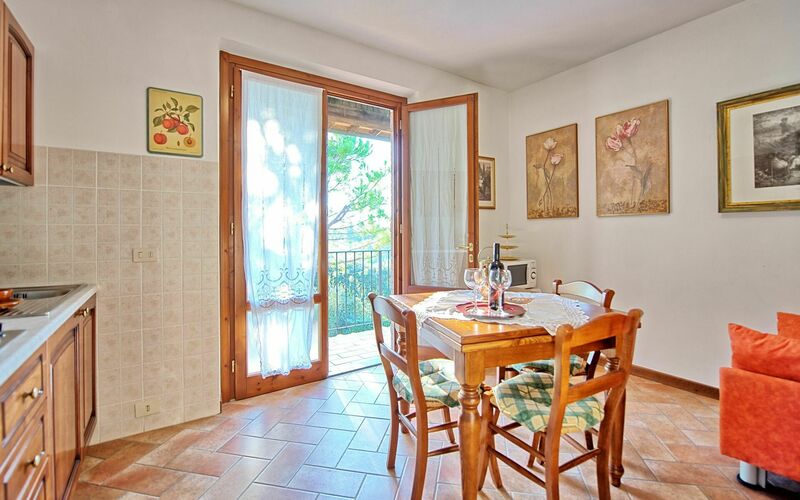 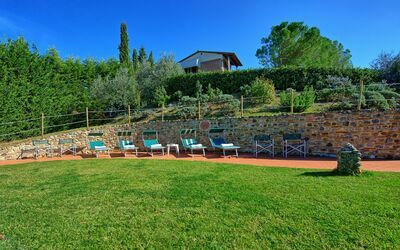 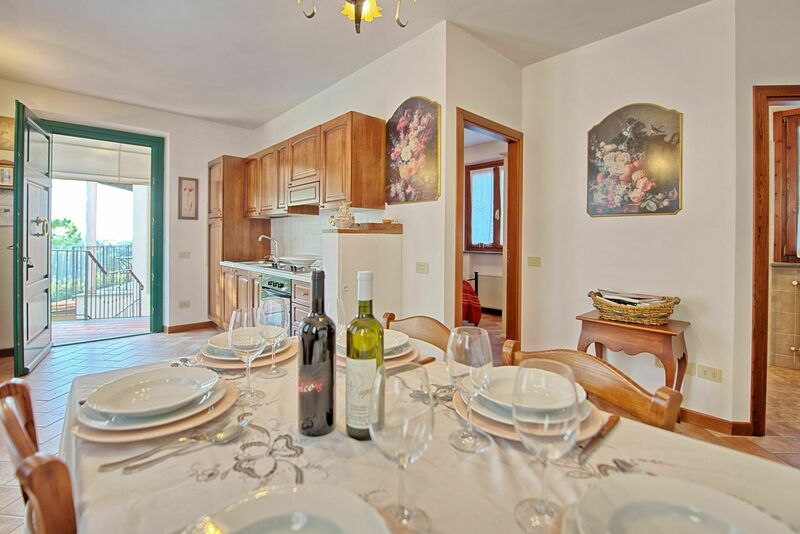 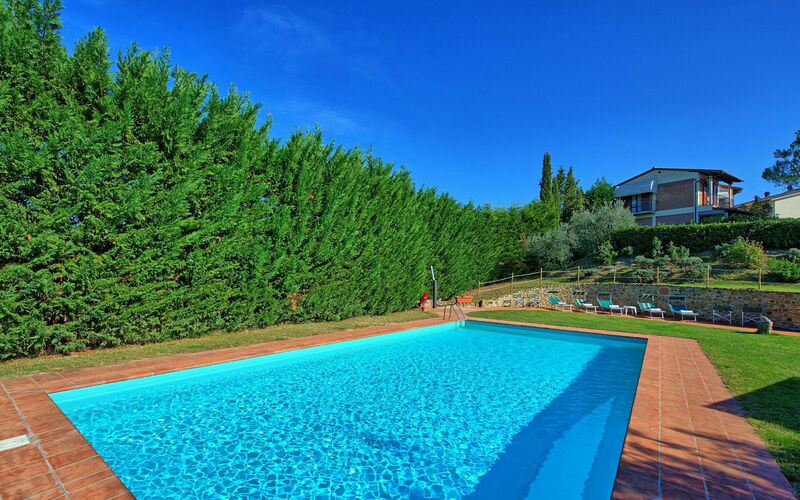 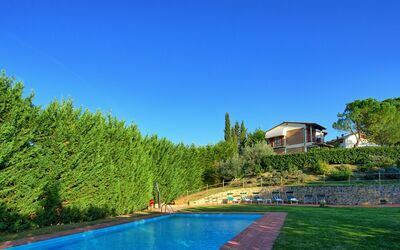 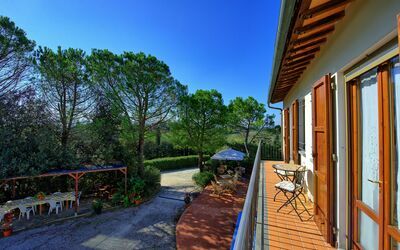 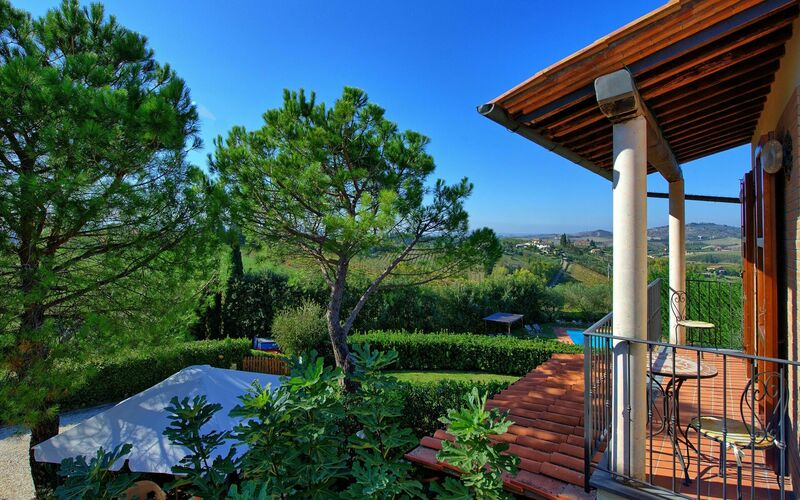 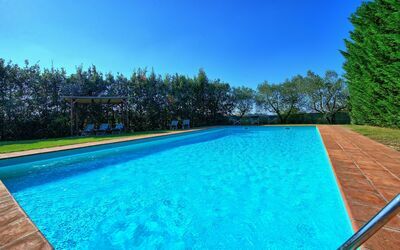 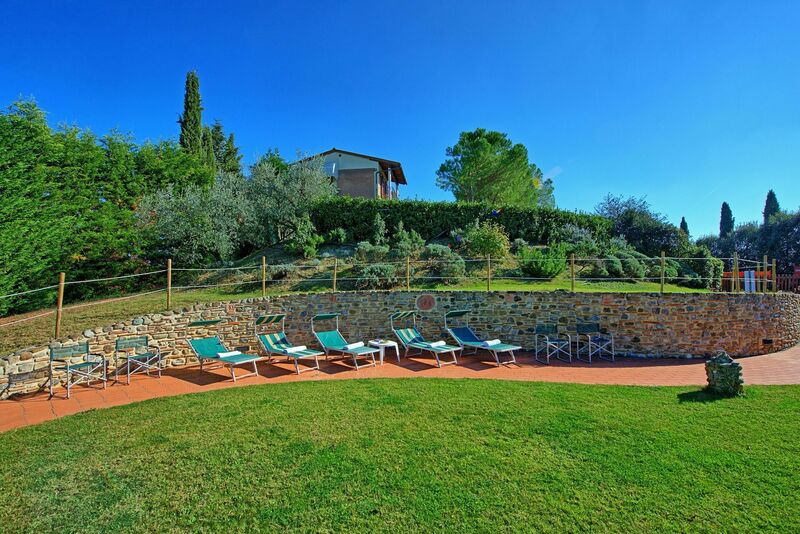 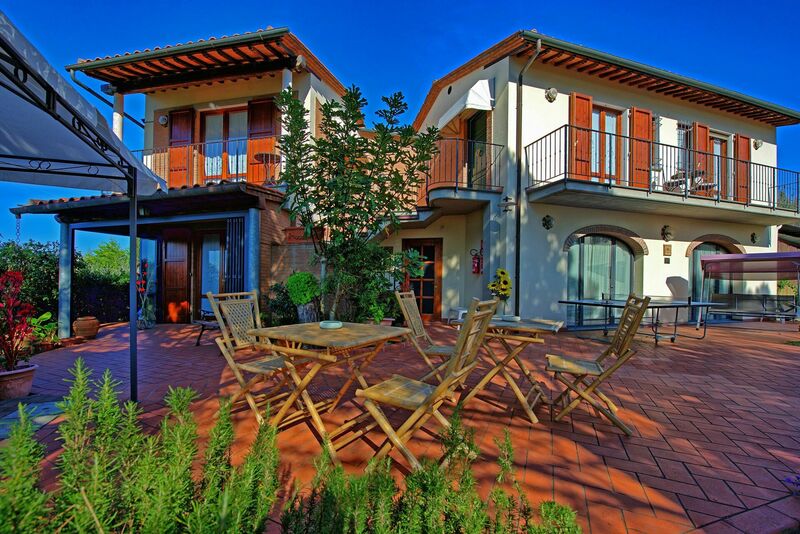 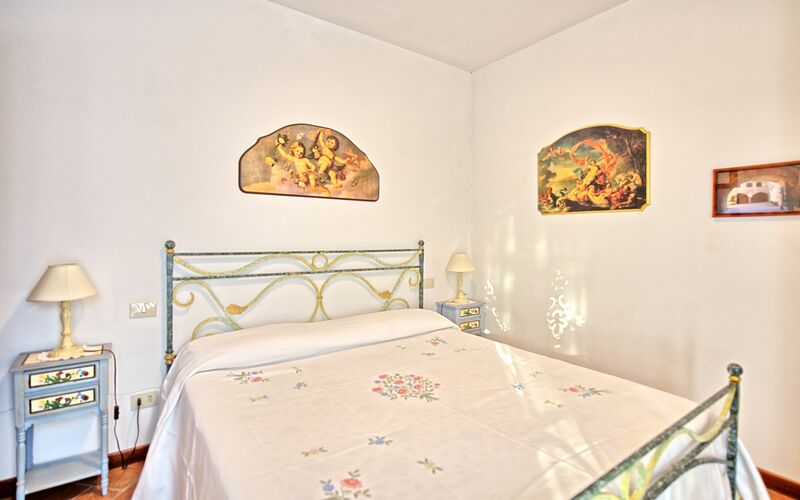 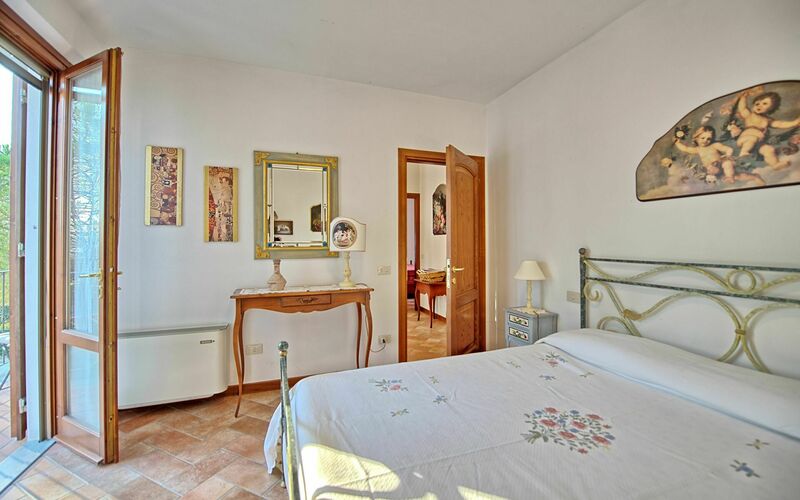 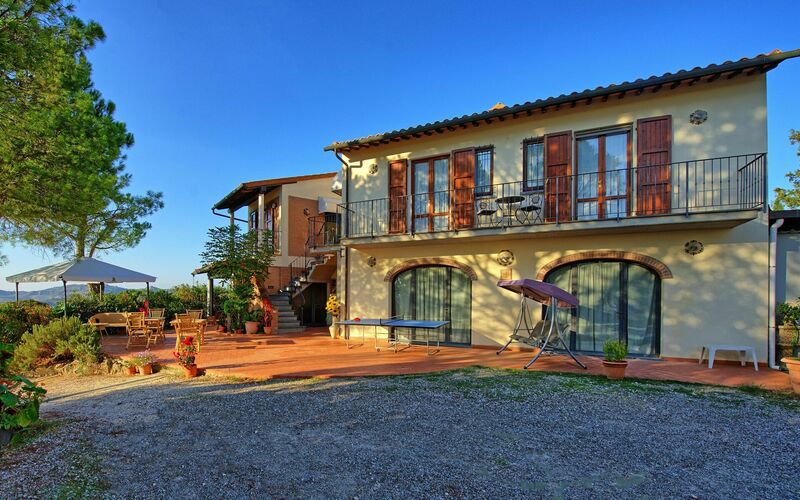 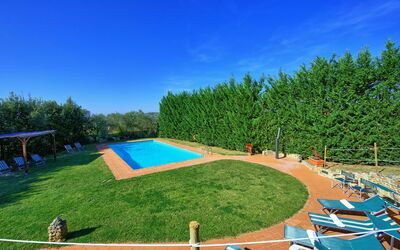 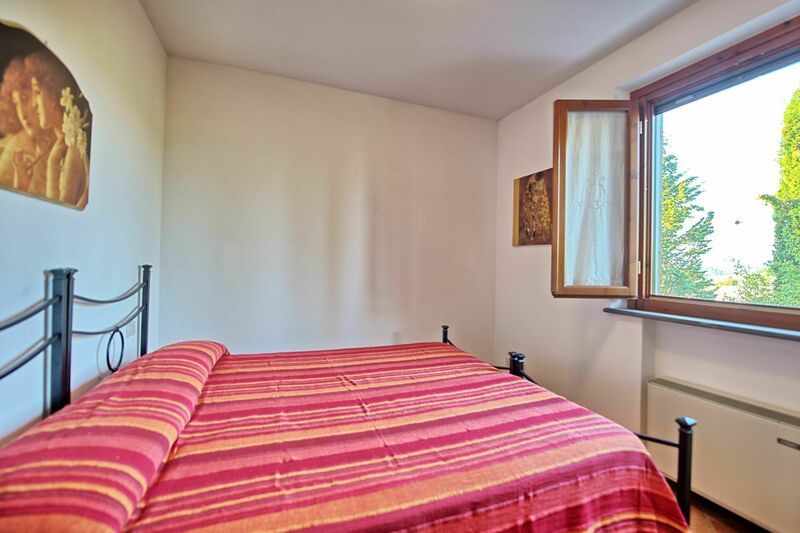 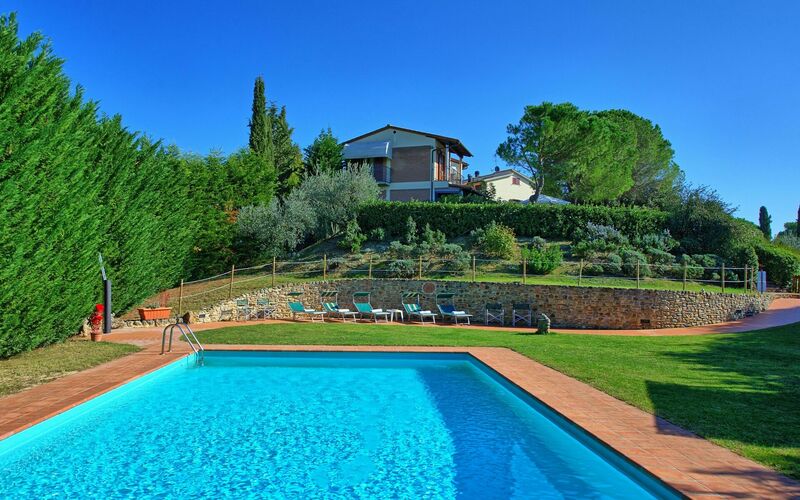 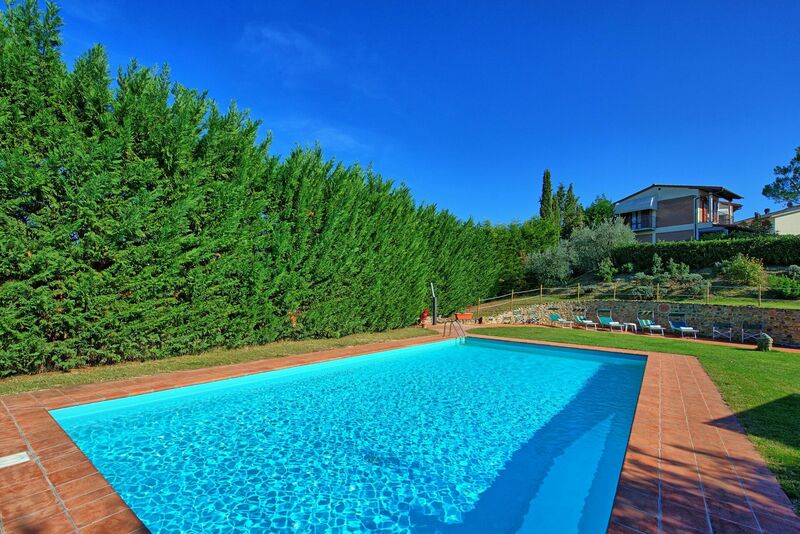 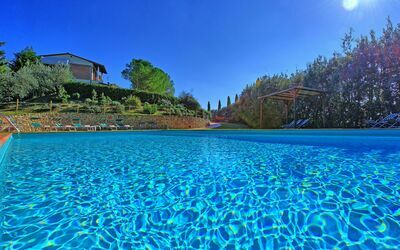 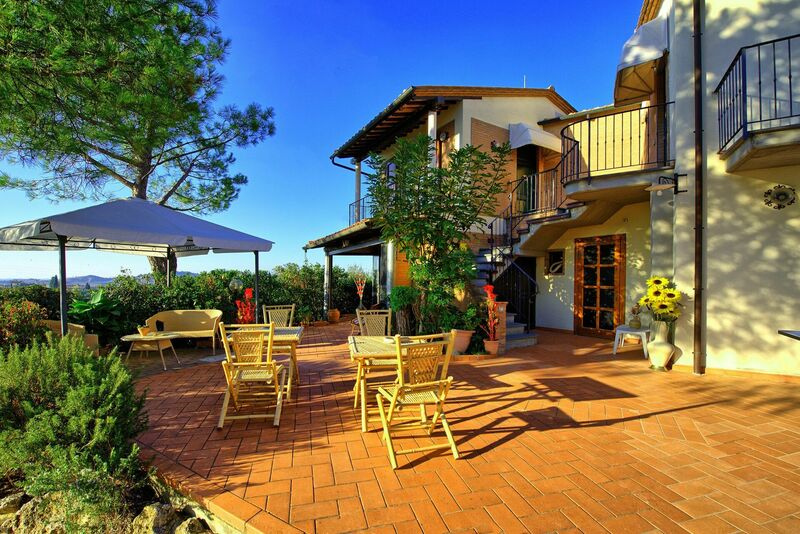 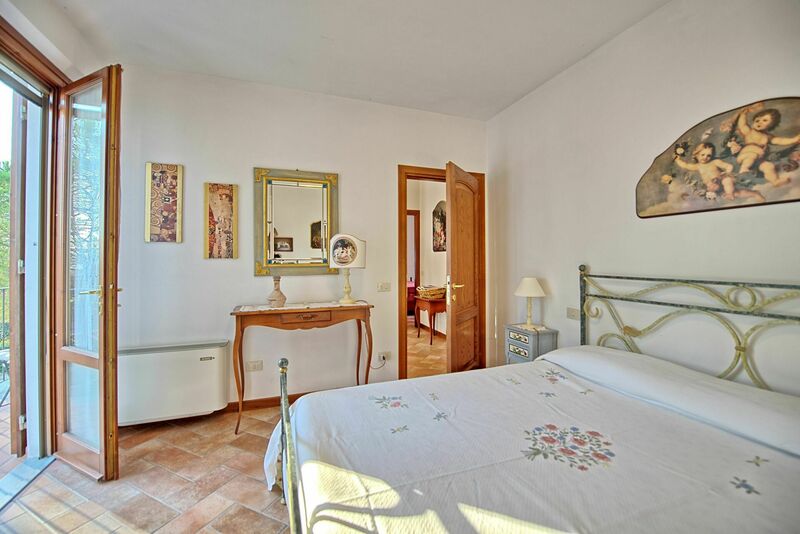 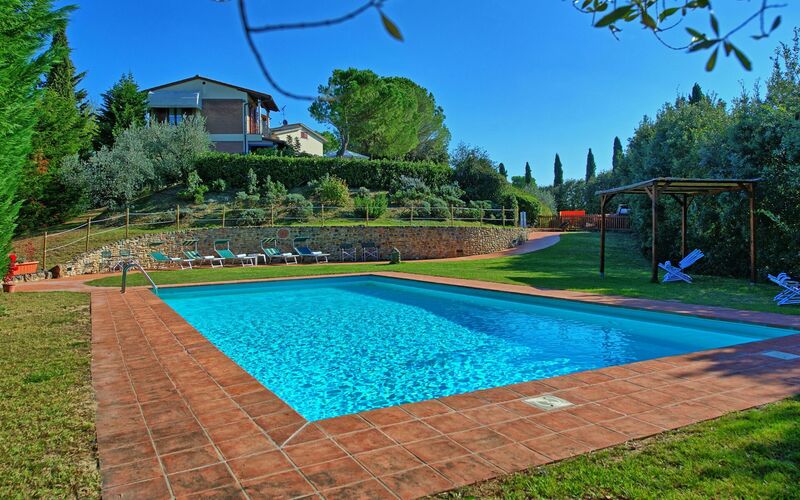 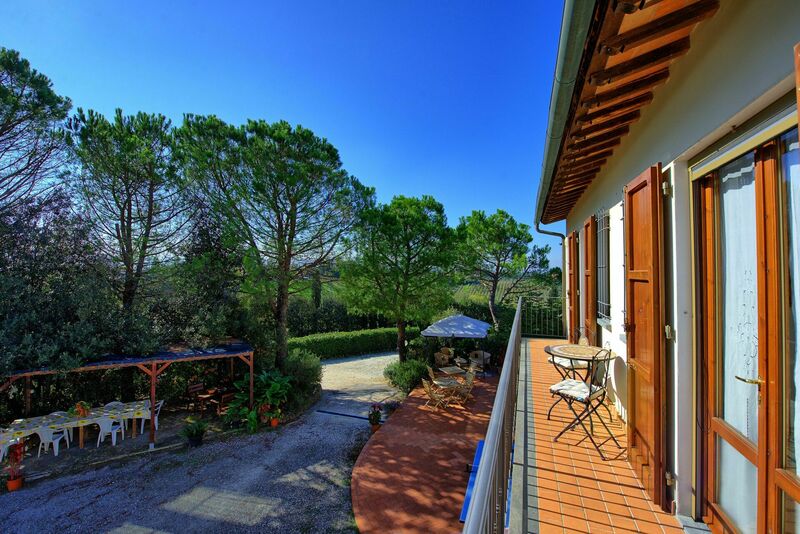 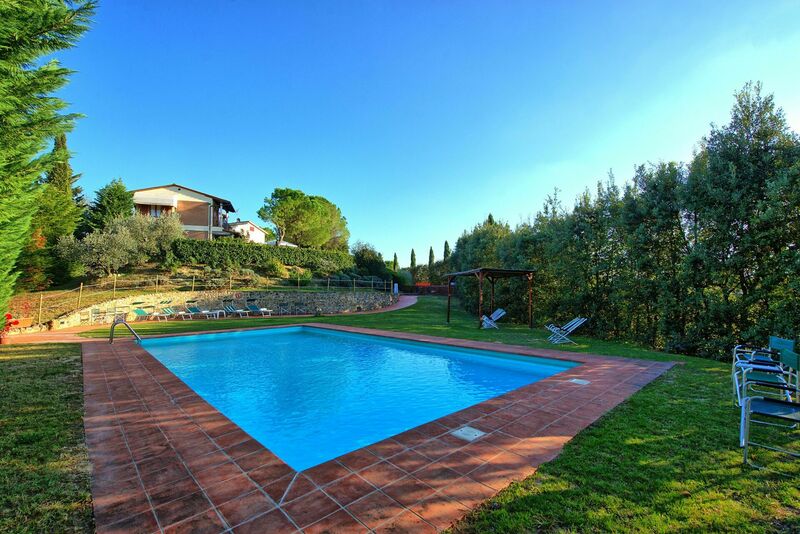 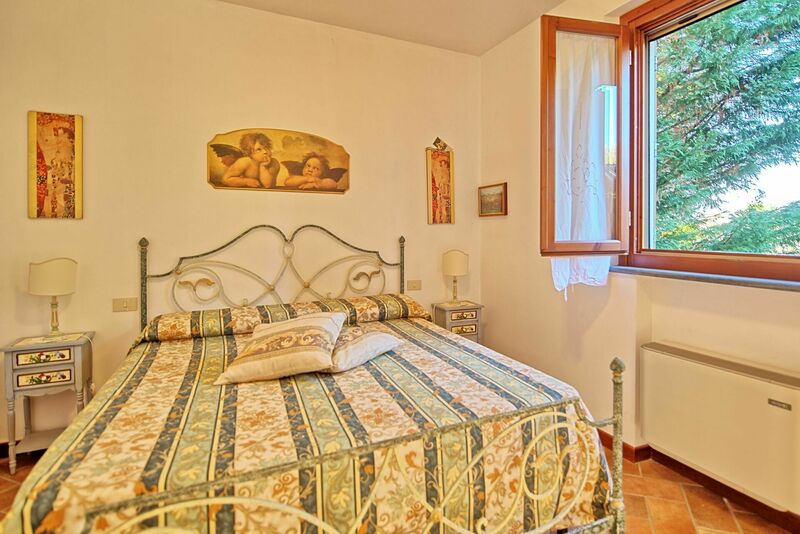 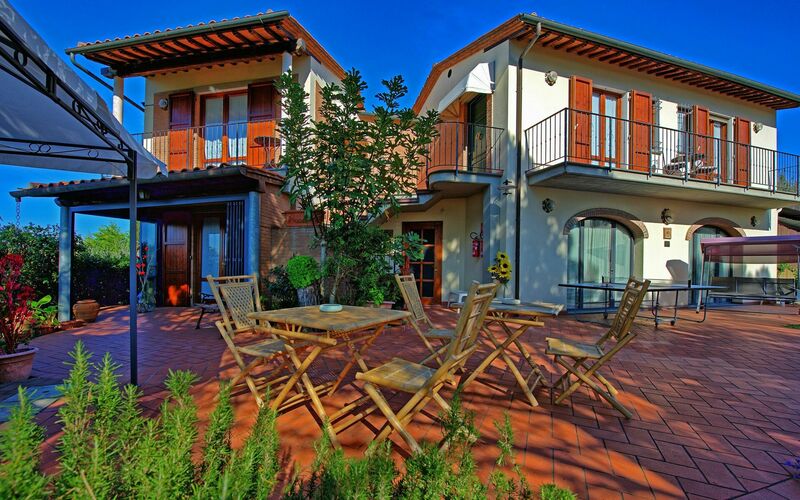 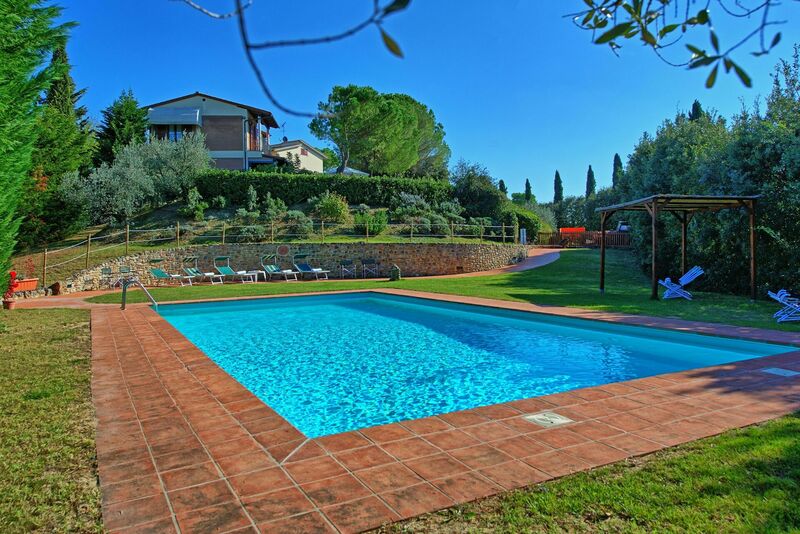 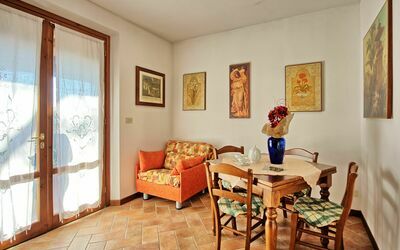 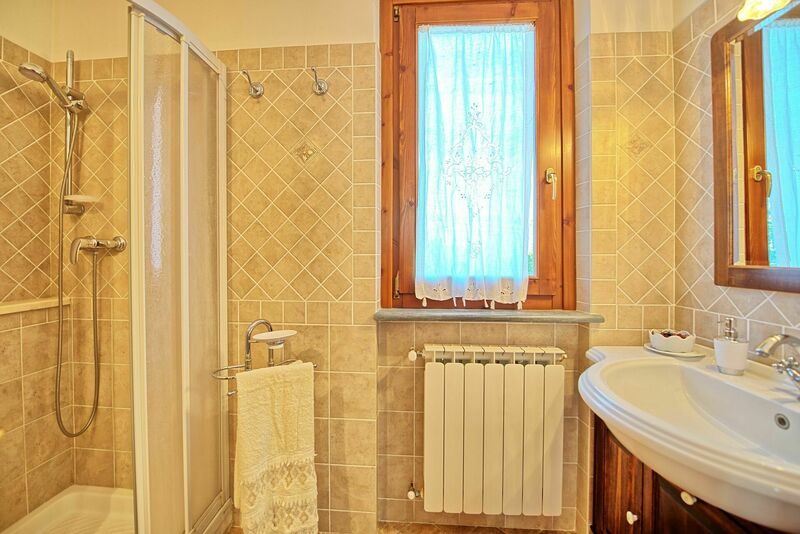 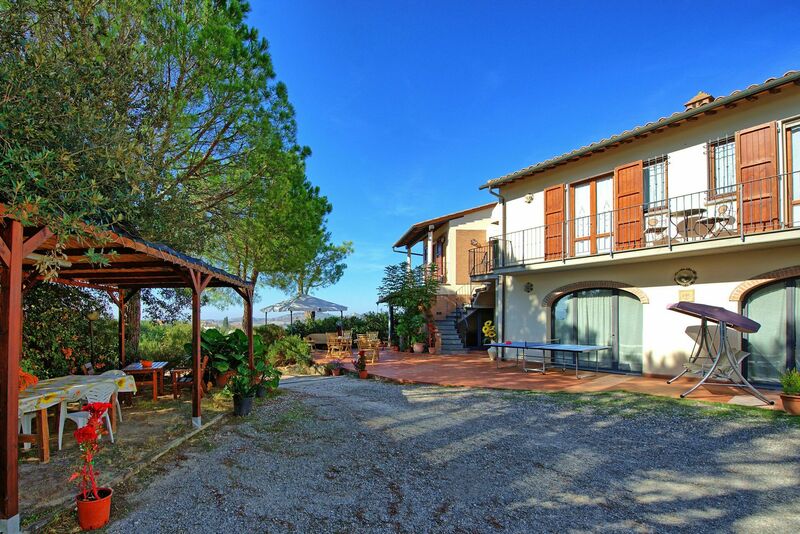 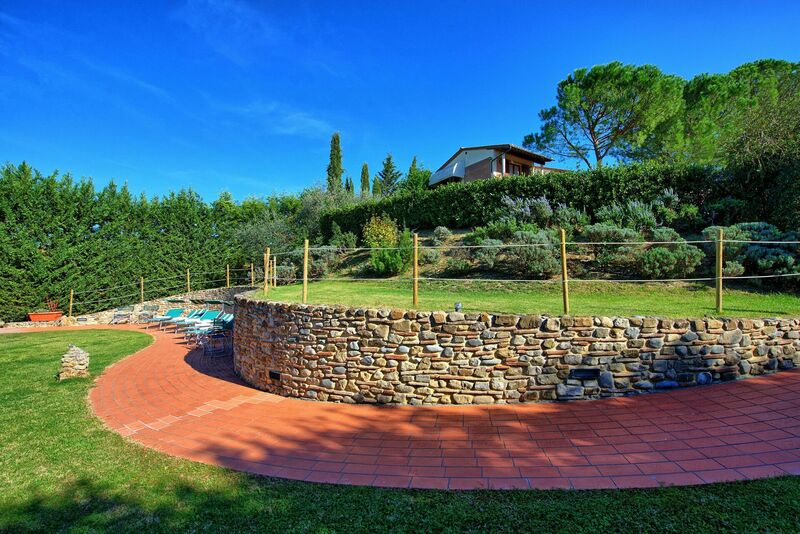 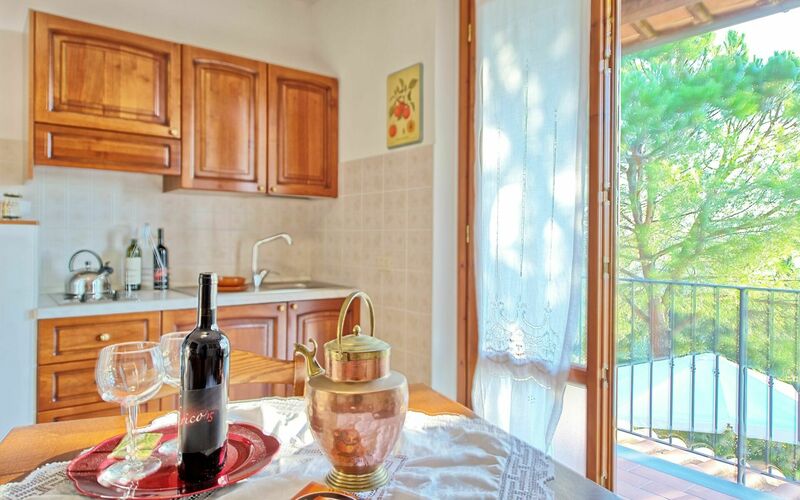 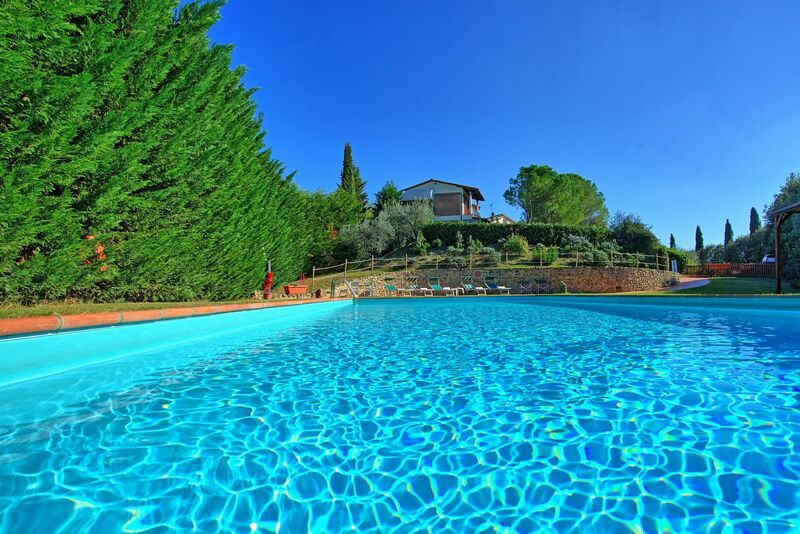 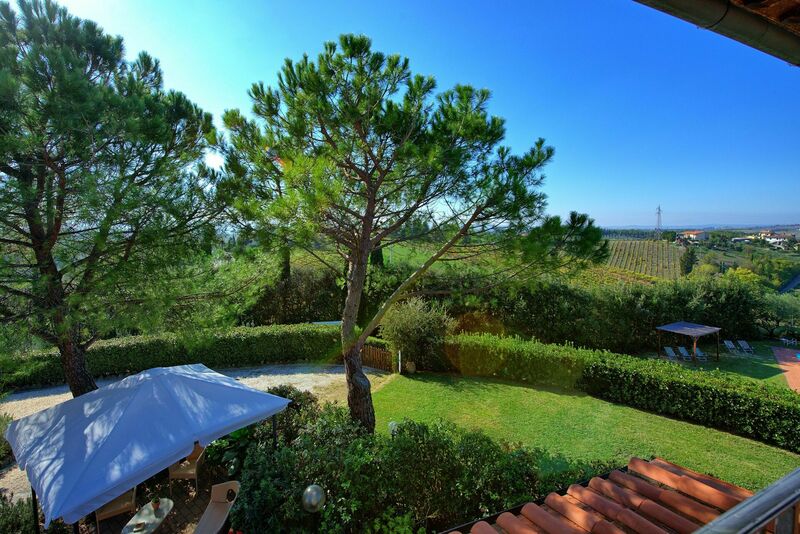 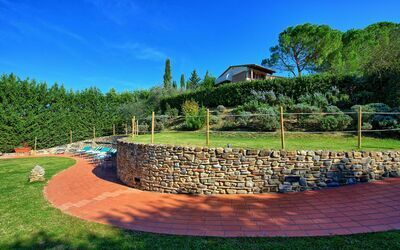 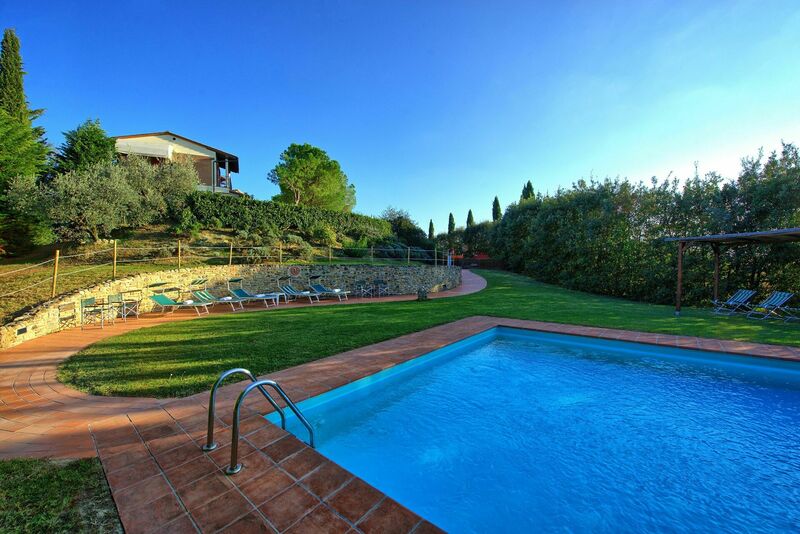 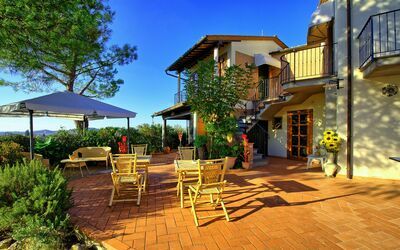 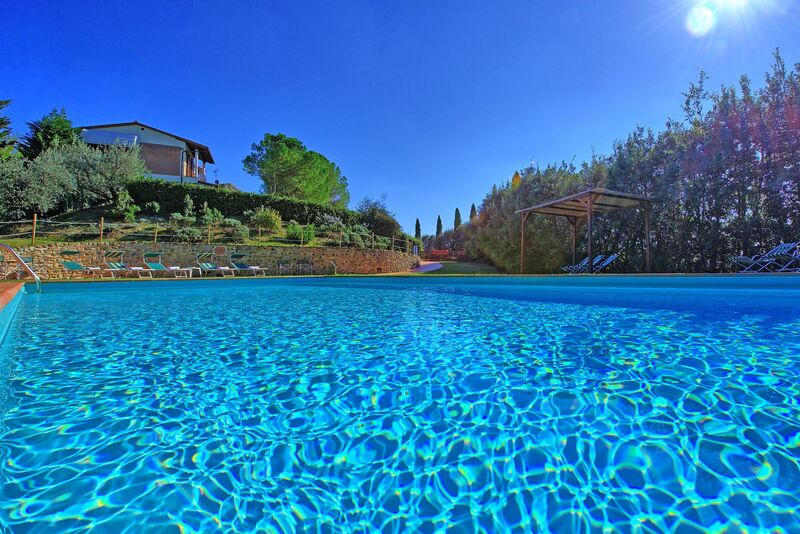 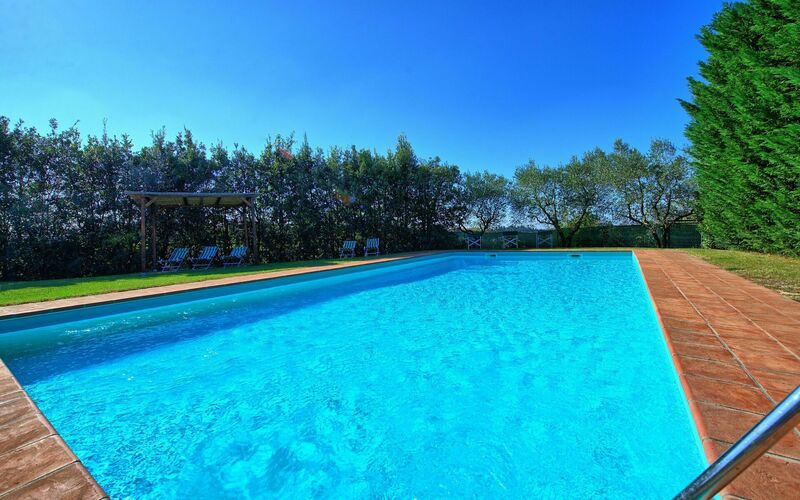 This beautiful Tuscan property with a swimming pool is strategically located, this makes it easy for guests to see this region’s fantastic well-known towns and cities such as Certaldo, San Gimignano, Volterra, Florence, Siena and the Tuscan countryside. 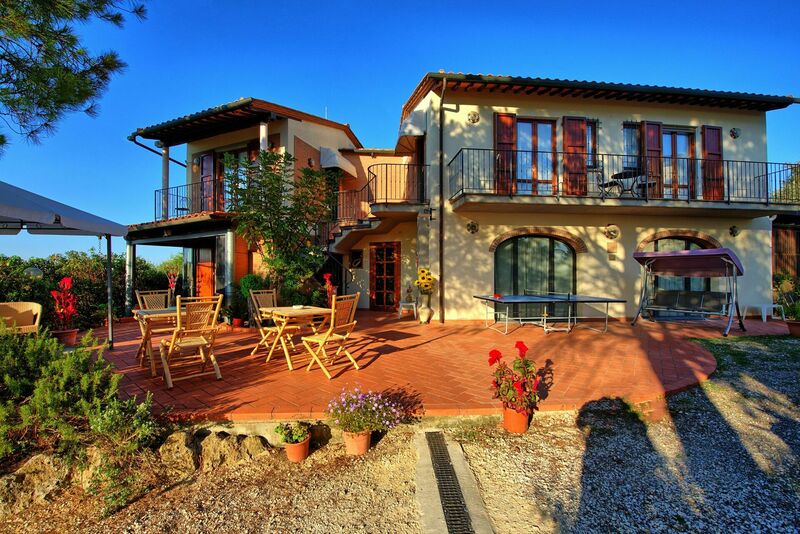 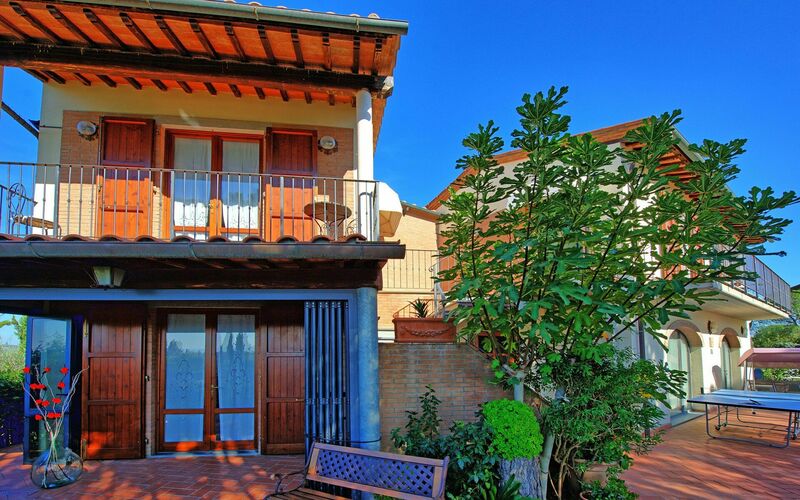 The small town of Sciano is found just 450m from the house (easily reached on foot). Available to guests: swimming pool reserved for the exclusive use of guests 12 x 6 m – maximum depth 1.7 m – minimum depth 1.2 m) open from 8am until 8pm and surrounded by beautiful garden, fenced and furnished with a gazebo, sunbeds and an outdoor shower, furnished area in front of the apartments with table and chairs for outdoor dining, Ping-Pong table. 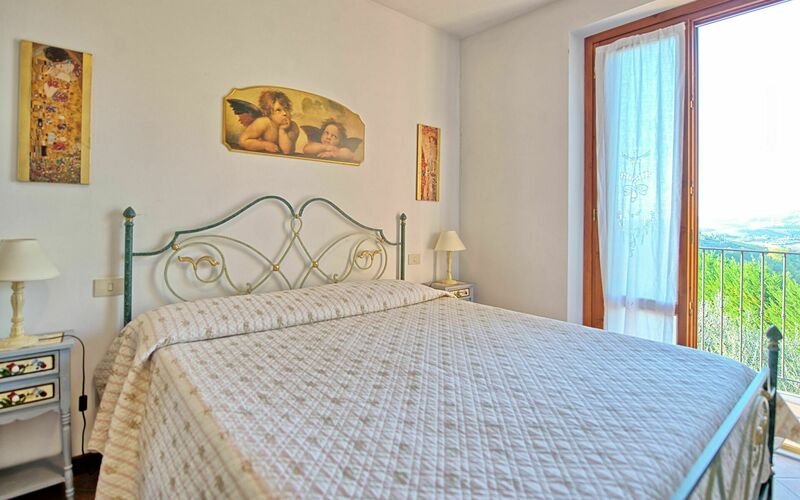 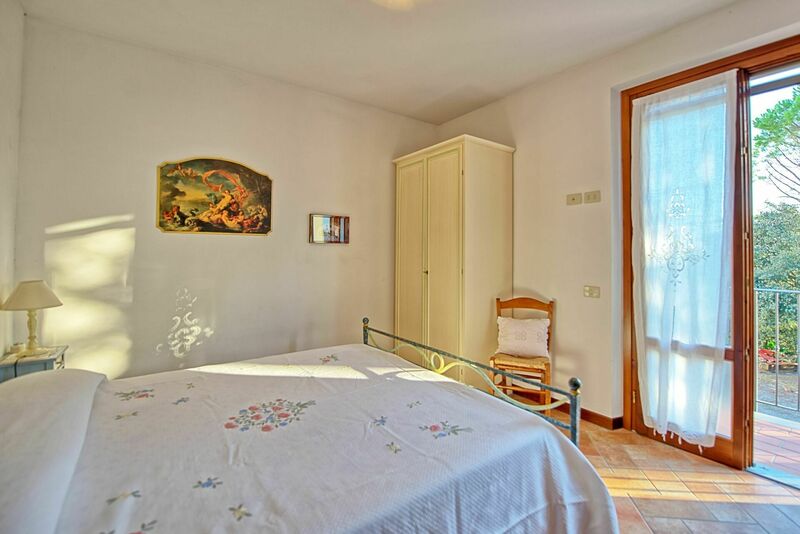 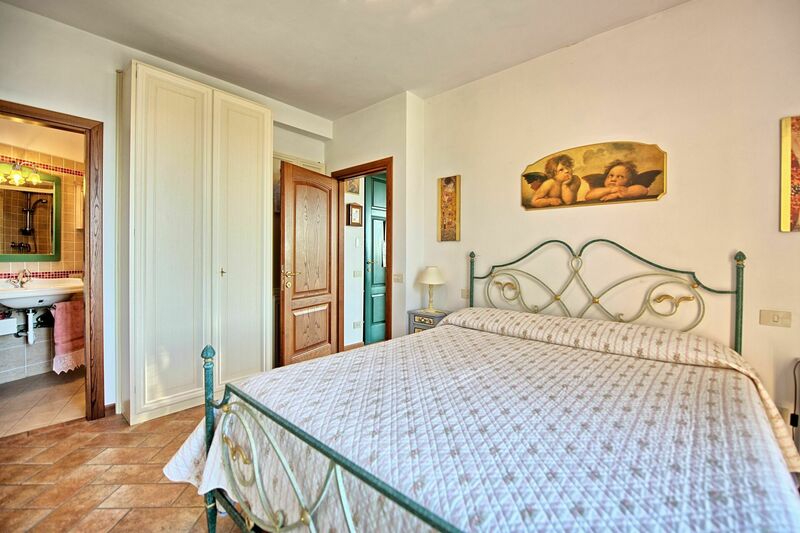 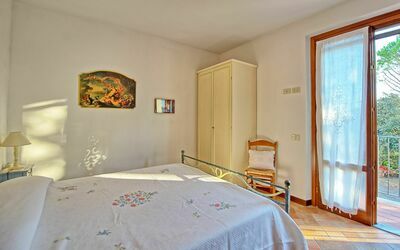 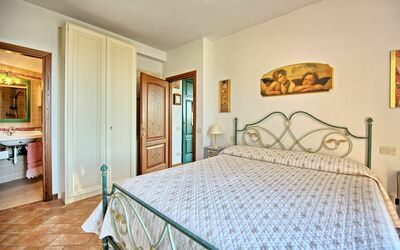 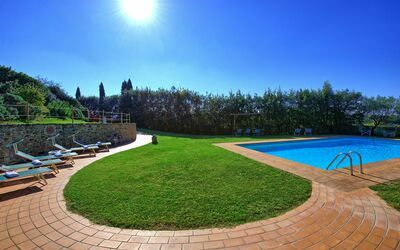 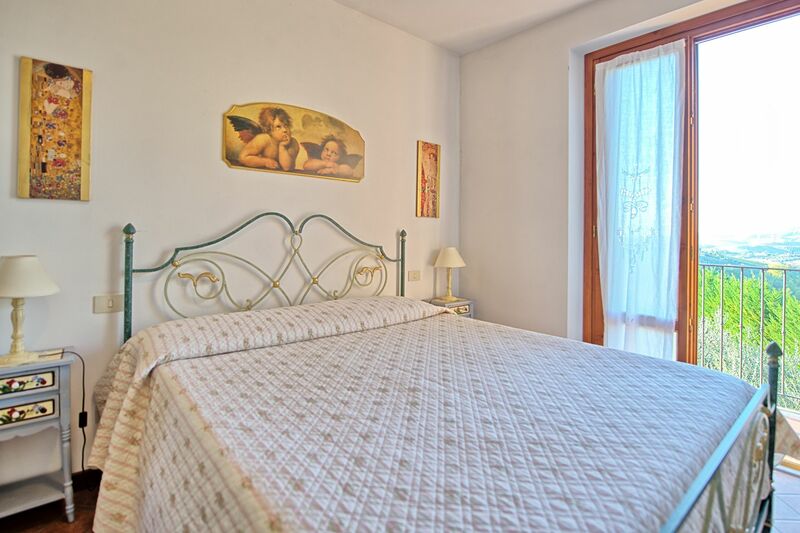 The rental has a safe (one in each of the apartments) and children’s cot (available upon request). 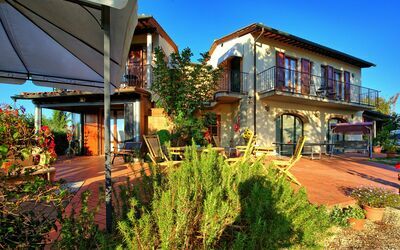 Parking at the property. Pets are not allowed. Distances: Sciano - 450m, Certaldo with a wide variety of shops and a train station - 5 km, San Gimignano - 18 km, Siena - 42 km, Volterra - 45 km, Florence (airport) - 45 km, Pisa (airport) - 80 km. 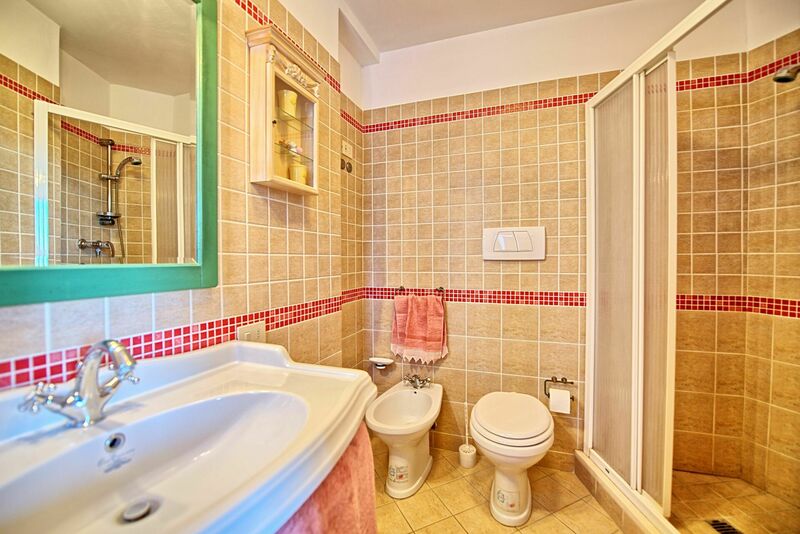 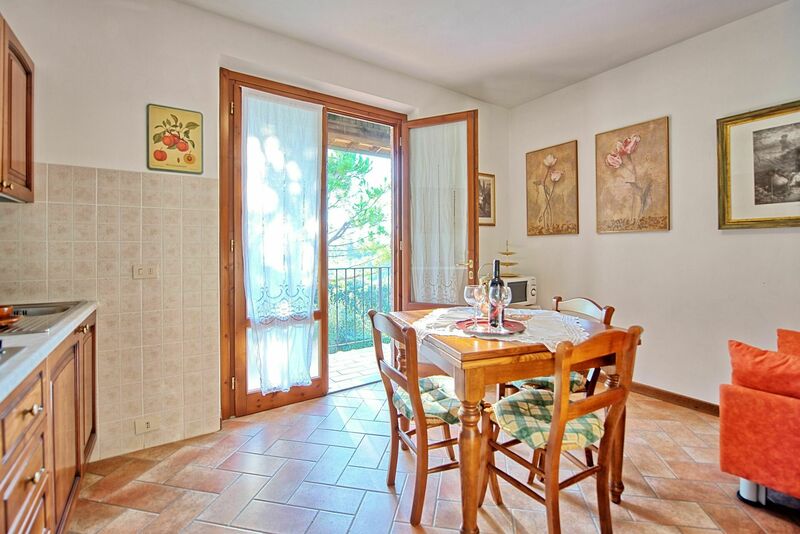 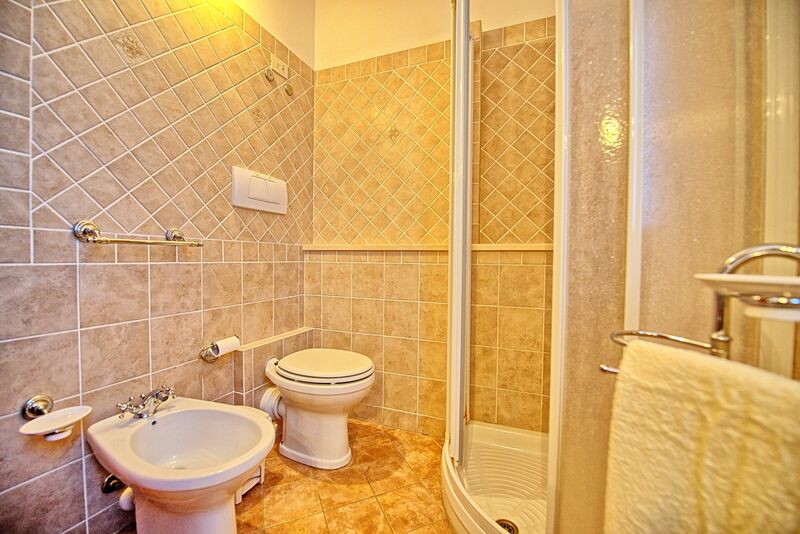 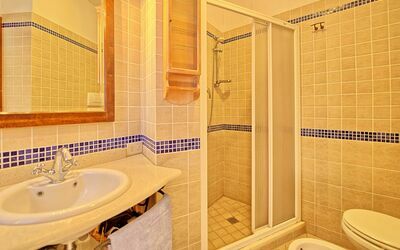 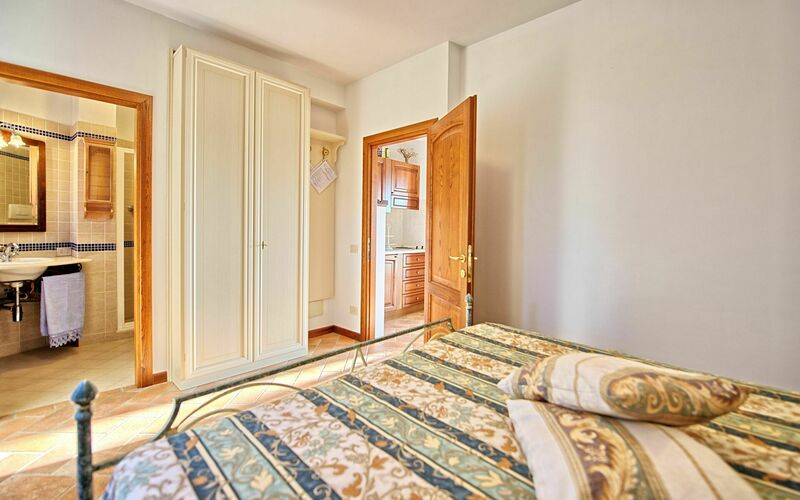 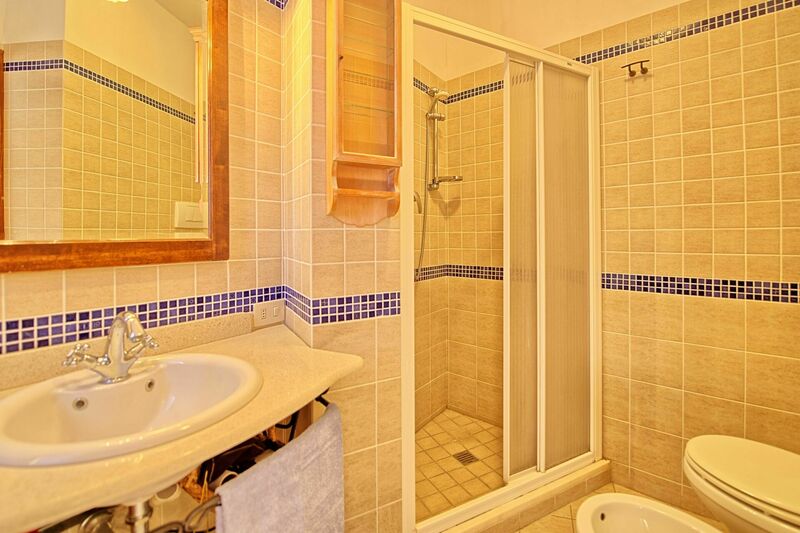 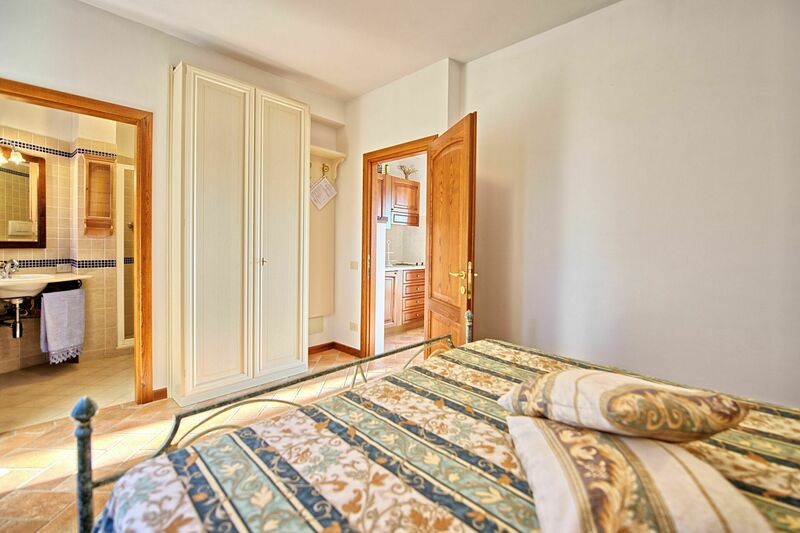 Ground floor: entrance into dining area with kitchenette (microwave, fridge), double bedroom, bathroom with shower. First floor: entrance into dining area with kitchenette (microwave, fridge) and balcony, double bedroom and balcony with panoramic views, bathroom with shower. 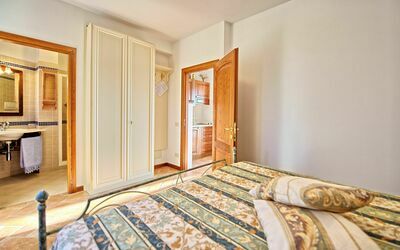 First floor: entrance into dining area with kitchenette (oven, fridge, freezer, American coffee maker, 4-ring electric hob) and balcony, double bedroom, double bedroom (upon request this bedroom can also be organised into a twin room), bathroom with shower.